This is the best bedding set I have ever seen! Why wasn't this available when I was a kid? 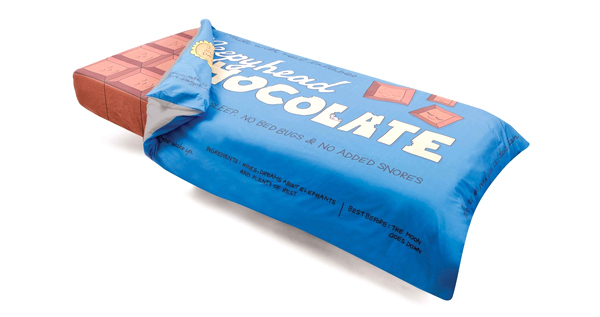 Get yourself the sleepy chocolate pieces sheet and pillows and the chocolate bar wrapper cover, yey.